Treat yourself or someone special to the ultimate joy of flight in one of our small, safe and robust microlight aircraft. Your flight will include a safety and preflight briefing as standard under the guidance of a CAA qualified instructor and examiner. Once in the air, you will be shown the basic flight controls and given the opportunity to have a go yourself to see if you’re a budding pilot in the making. 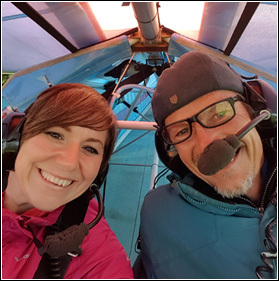 Air experience flights are available 7 days a week and are available in weightshift(flexwing), as well as 3-axis(fixed wing) microlight aircraft – simply decide which type you’d like to fly when booking. All air experience flights include temporary day club membership fee. 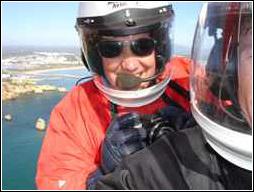 A video of the flight is available at a cost of £25.00 and must be purchased in advance. The video will be supplied on a SD CARD and handed over on the day. Please note that a video is included in Flight E -‘The Ultimate Fly Away’. 2. Alternatively, please call us on 01225 683 942 or email fly@greatwesternairsports.com for further information. You are welcome to choose the area the air experience flight will take place subject to weather conditions and airspace restrictions. Flight preparation(including safety briefing), takeoff demonstration with a fantastic view of the surrounding countryside. Return to the airfield circuit with a gliding & landing demonstration. 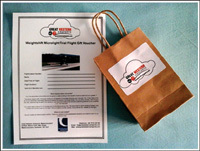 Optional video of the flight is available on SD card at £25.00. Flight preparation(including safety briefing), takeoff demonstration with a fantastic view of the local area including the city of Bath then back to the airfield circuit with a gliding & landing demonstration. Optional video of the flight is available on SD card at £25.00. Flight preparation(including safety briefing), takeoff demonstration with a fantastic view of the local area including the city of Bath, Westbury White Horse, clay Hill and on a clear day Glastonbury then, when returning to the airfield circuit, a gliding & landing demonstration. Optional video of the flight is available on SD card at £25.00. 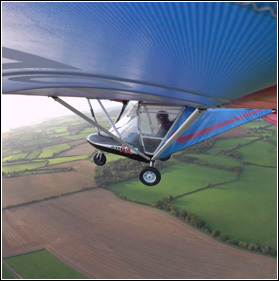 This is the ultimate microlight flight experience with the chance to fly away to a choice of local airfields including Old Sarum, Compton Abbas, Henstridge or Kemble. 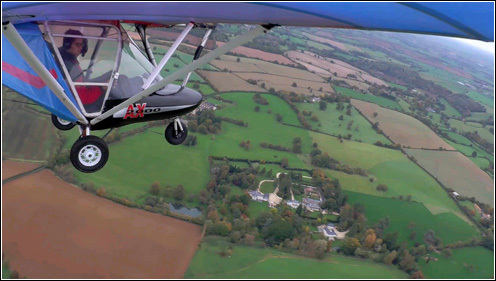 During the summer months, this air experience flight can be conducted over the Wiltshire countryside to view crop circles which are spectacular when viewed from the air. The experience will start with flight preparation(including safety briefing), takeoff demonstration with fantastic views of the Somerset and Wiltshire. When leaving the airfield circuit you’ll be given the opportunity to take the controls of the aircraft under the guidance of a qualified flying instructor. The participant can choose the places you would like to overfly on the way to your chosen airfield. Subject to availability at the chosen airfield, hot or cold drinks will be ordered and provided while the participant can watch airfield activities and even be taken for a walk around airside. On the return, the participant will once again be able to choose the route. Upon arrival back at Brown Shutters Farm Airfield, a gliding & landing demonstration will be shown. A video of the flight worth £25.00 is included and will be handed over on the day on a SD CARD to take home. Please allow 3- 4 hours for this unforgettable flight experience.